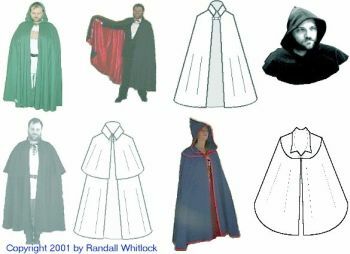 MRCapes - 1300 - 1900 Cape Collection Pattern. Multisized for All. Includes 4-Panel half-circle cape with hood and four different collars, Cowl, Capelet, and Yoked cloak. 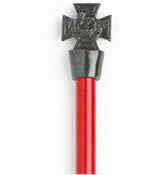 Edwardian, Civil War, Western or Victorian, Celtic, Medieval, Renaissance. Great for Game of Thrones Costume, Eddard Stark, Sean Bean, Arryn, Baratheon, Greyjoy, Lannister, Stark, Tully, Tyrell, Rickon Stark, Rodrik Cassel, Maester Luwin, Jory Cassel, Hodor, Ser Rodrik, Septa Mordane, Osha, Roose Bolton, , Loras Tyrell, Renly Baratheon, Jeor Mormont, Aemon Targaryen, Bowen Marsh, Benjen Stark, Ser Alliser Thorne, Yoren, Samwell Tarly, Qhorin Halfhand, Illyrio, Mopatis, Pyat Pree, Xaro Xhoan Daxos, Syrio Forel, Shae, Gendry, Jaqen H'ghar, Princess Myrcella, Prince Joffrey, Cersei Lannister, Tommen Baratheon, Pycelle, Lord Varys, Ser Barristan Selmy, Ser Ilyn, Hallyne, Dontos, Ygritte, The Lord of Bones, Galbart Glover , Gared, Jhiqui, Eddard Stark, Robert Baratheon, Tyrion Lannister, Catelyn Stark, Ser Jaime Lannister, Cersei Baratheon, Daenerys, Ser Jorah Mormont, Lord Petyr Baelish, Viserys Targaryen , Jon Snow, Robb Stark, Sansa Stark, Arya Stark,Theon Greyjoy, Joffrey Baratheon, Sandor Clegane, Khal Drogo Great John Carter Costumes, John Carter movie costumes.